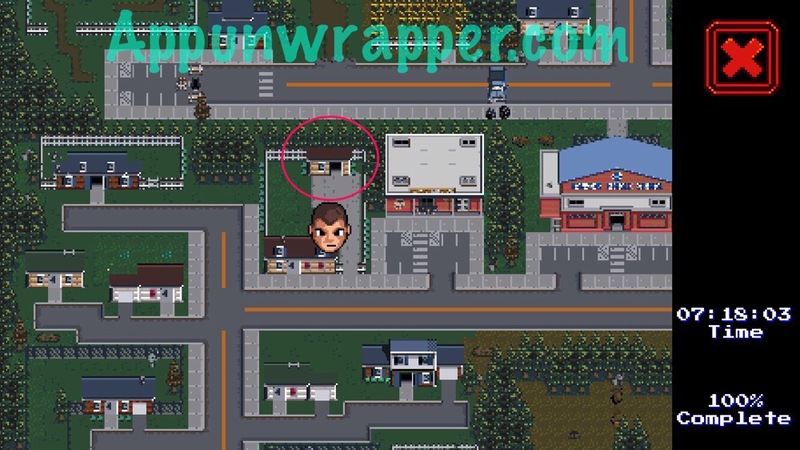 This is a complete 100% walkthrough guide with a list of all collectible locations in the iOS and Android game, Stranger Things: The Game, by BonusXP. It’s a work in progress, so please bear with me. For the rest of my walkthrough, including videos, click here. Eggo 1: Found hidden inside Hawkins lab. Defeat the Hawkins Lab boss in Chapter 1. Eggo 2: Found in the forest Maze. Defeat the Forest Maze boss in Chapter 2. Eggo 3: Found in the wreckage of a conspicuous Van. Defeat the Conspicuous Van in Chapter 3. Eggo 4: Found vacuum sealed in the sewers. Defeat the Sewer boss in Chapter 4. Eggo 5: Found in Hawkins Public Library. Defeat the Library boss in Chapter 5. Eggo 6: Found deep in the Hawkins Lab Bunker. Eggo 7: Found in the refrigerator of the Wheelers’ House. Eggo 8: Found hidden inside Bradley’s Big Buy. Use Nancy to break through a wall in the upper right part of the store. After you have all eight, find the door at the very top of the map and go through. Open the box to unlock Eleven as a playable character! In the room to the right of the boss. You need a key card to access it. You need Will to squeeze through pipes with Will. You need to go looking for it after defeating the boss. VHS 7: Found set aside in Hopper’s house. Go back to Hopper’s house anytime to find this. Can be accessed at any point. Once you have all eight, head to the movie theater and watch the clip from Season 2 of the show. It’s playing in theater 1. Gnome 1: David: David dreams of one day having his own television show. Gnome 2: Bumble: Bumble got lost hunting truffles after a hungry bear chased him away. Found in the Forest Maze. You need Will to squeeze through a pipe. Gnome 3: Grumble: Grumble claims to have visited the veil of shadows in a nearby stronghold. There’s a small sliver of forest between the Lab and the Quarry and he can be found there. Gnome 4: Tumble: Tumble has always been an active, sporty sort. Found in the forest below the school. Gnome 5: Sam: Sam never finished school and went back to complete his education. Found in Hawkins Middle School using Nancy to break through a wall. Gnome 6: Pipsy: Pipsy’s favorite food is pumpkin pie. Found in the pumpkin patch. Gnome 7: Tipsy: Tipsy had too much blackberry brandy and passed out in the woods. Found in the forest west of the Sewers. Gnome 8: Robil: Keep your eye on Robil or he’ll steal your sandwich. Found in Hawkins Lab. You need Will to climb through a pipe in a room northeast of the entrance. Gnome 9: Bobil: Bibil laves strong smelling cheese, which might explain why he was found down in the sewer. Found in the Sewers. You need to use Will to squeeze through a pipe to access this gnome. Gnome 10: Wigglebum: Wigglebum loves rainbows and other colorful lights. Found in the Library, in a small room to the east of the entrance. Gnome 11: Lord Twinklenose: Lord Twinklenose is just a big homebody. Found in a house in the small town in the lower left area of the map below the graveyard. Gnome 12: Pop: Pop loves hiking along mountaintops. Found in the Quarry. You need to use Dustin to lure a bear away from a cave entrance. There’s a small shed in the town that has four green chests. Each one has an upgrade for a specific character inside. You open one after you find 3 gnomes, another after 6, then 9, then the last at 12. Heart Piece 1: Found in Hawkins Lab after you return with Nancy. Heart Piece 2: Destroy all five surveillance cameras in Hawkins Lab. Heart Piece 3: Found west of Hopper’s home. Heart Piece 4: In the forest. You need Dustin to use pudding to move the bear. Heart Piece 5: Found in a small forest to the left of Castle Byers, which is to the left of Joyce’s home. Heart Piece 6: You get this for giving Powell his handcuffs. Heart Piece 7: Found in the corn maze. Heart Piece 8: You get this after giving Mr. Clarke the Science Textbook. Heart Piece 9: Found above the Librarian’s house by jumping over a ramp. Heart Piece 10: Found in the bunker pipe maze. Heart Piece 11: Found in the Sewers. Heart Piece 12: Pop all the balloons in the sewers. Heart Piece 13: In the Forest Maze. You need Will to access it through a pipe. Heart Piece 14: Break all the fire alarms in Hawkins Middle School. Heart Piece 15: Break all the owl/bird houses in Forest Maze. Heart Piece 16: Collect all the overdue books the the Hawkins Library and hen open the chest near the front of the library. Heart Piece 17: Smash all five aliens in jars in the Hawkins Bunker in Chapter 6. Heart Piece 18: Give the Robot Toy to Bradley’s store clerk to get this one. Heart Piece 19: Found in the Quarry. Heart Piece 20: Get this after you give Tommy H. his Pocket Knife. Heart Piece 21: Give Tommy the Bottle of Pop. Heart Piece 22: Give the Hairspray to Carol. Heart Piece 23: Give the Lipstick to Carol. Heart Piece 24: Give the Keys to Joyce. Heart Piece 25: Give the Phone to Joyce. Heart Piece 26: Give the Blank Cassette to Jonathan. Heart Piece 27: Give the Game Cartridge to Bradley’s Clerk. Heart Piece 28: Give the Milk Carton to Mrs. Wheeler. Heart Piece 29: Give the Pumpkin to Mrs. wheeler. Heart Piece 30: You get this after giving Flo the Romance Novel in the Police Station. Heart Piece 31: Give the Rubber Skeleton to Flo in the Police Station. Heart Piece 32: You get this from giving the Police Badge to Callahan in the Police Station. Heart Piece 33: You get this from giving the Ledger to Melvald. Heart Piece 34: You need to talk to Jennifer while Will is selected. Heart Piece 35: Above Hopper’s home. Use the ramp to get to it. Heart Piece 36: Give the salt to the Hunting store clerk. Heart Piece 37: Found in a mini sewers dungeon near Jennifer. Heart Piece 38: This one’s tricky to find. You need to go to the southeast corner of the Garbage Dump/Junkyard, follow a little path down to a bike ramp and use the ramp to get to the island. The heart will be in a green chest. Heart Piece 39: This is found in a house near the Librarian and Florist. Heart Piece 40: Give the Movie Tickets to Steve. Hazmat Suit: Found in the Morgue. Used to get through the Gate to the Upside Down. Provides protection from the toxicity of the Upside Down. Dynamite: Used to blow open the sewer entrance. Found in the Quarry. Floral Bouquet: Grants Hopper +2 bonus to Apologies. Purchase from the Florist. Give to the Librarian to get Library Key. Library Key: Get from the Librarian after you give her he Floral Bouquet. Unlocks the Library in Hawkins town square. Camo Backpack: Upgrades Lucas’ backpack to hold another 25 ammo (rocks). To get the first one, give the UV Filter to Jonathan. To get the second, collect 3 gnomes and then open the first chest in the house with four chests. To get the third, give the Lab Blueprints to Callahan at the Police Station. Aluminum Bat: Purchase at the shop for $250 coins. Gives Nancy a 2 damage attack. Canadian Tuxedo: Gives Hopper +1 Damage and +1 Charge Range at Full Health. Found in a trash can behind the Librarian’s home. Spiked Bat: Gives Nancy a 3 Damage attack. Give Steve the Nails and he’ll give you the bat. D-Cell Flashlight: Doubles Mike’s stun duration. Find 6 Gnomes and unlock the second chest in the house with the four chests. Lucky D20: Gives Will a 5 Damage critical strike. Find 9 Gnomes and unlock the third chest in the house with the four chests. Lunchbox: Gives Dustin +50 Pudding capacity. Find 12 Gnomes and unlock the fourth chest in the house with the four chests. Maple Syrup: Adds 1 Damage to Eleven’s attacks. Found by going through gym pool in the school. Hockey Mask: Adds 1 Damage to Max’s attack. Found in house to the right of the school. There’s a blue car out front. UV Lens Filter: Found in the Forest Maze. Give to Jonathan in exchange for a Camo Backpack. Pocket Knife: Found in the Forest Maze. Give to Tommy. Ledger: Give to Melvald to get Heart Piece 33. Romance Novel: Found in Joyce’s house. Give to Flo in the Police Station to get Heart Piece 30. Science Textbook: Found in a locker in the school. Give to Mr. Clarke. Salt: Give to Hunting store clerk to get Heart Piece 36. Blank Cassette: Found in a locker in Hawkins Middle School. Give to Jonathan. Police Badge: Found in the Quarry. Give to Callahan at the Police Station to get Heart Piece 32. Movie Tickets: Found in the movie theater. Give to Steve. Donuts: Purchase at the shop. Give to Powell the cop to get a Cathode Ray Tube. Phone: Purchase at the shop. Give to Joyce. Lipstick: Found in the Sewers. Give to Carol at Bradley’s Store. Robot Toy: Found in a house east of the school. Give to Bradley’s store clerk to get Heart Piece 18. Cathode Ray Tube: Powell gives this to you in exchange for donuts. Hawkins Lab Blueprints: Found in Hawkins Lab. Give to Callahan. Hairspray: Buy in the shop for 100 coins. Pumpkin: Found in the pumpkin patch. Rubber skeleton: Found in the graveyard. Nails: Found in the forest. Handcuffs: Found in the forest. Keys: Found in a small shack (Castle Byers) to the left of Joyce’s house. Give them to Joyce. Nails: Give them to Steve to get a Spiked Bat for Nancy. Bottle of Pop: Found in the Garbage Dump. Give to Tommy for a heart piece. Break Pads: Found in the Garbage Dump (junkyard). Give to Callahan for some coins. Game Cartridge: Found in Garbage Dump (junkyard). Give to Bradley’s Clerk for a heart piece. Rubik’s Cube: Found in Quarry. Give to Florist Clerk for some coins. Scrub Brush: Found in shed behind Byers’ home. Give to Hawk Theater Attendant for some coins. See the new content update here, including how to unlock Max! I’m 99.3% done with them game and idk what I’m missing. I have all the characters, hearts, tapes, gnomes, and eggos. Please help!! Did you get the rewards for getting all the gnomes? There is a character that is blacked out in the select menu that says to look out for him when season 2 comes out. So maybe it’s that? You are missing the lunchbox my friend. You’ll find it in the remaining unlocked chest of the four in the house next to the school. Does anyone know Jonathans location? He’s right below the Gate where you begin the second chapter. he’s in the forest near steve’s house !!! What do I do once I have all the egos? There’s a door at the very top of the map. Go through it and open the box in there. I figured out where to get the lunch box. Unfortunately I’m still missing gnome 10?? I have the nails but when I go to talk to Steve he just keeps saying he can’t wait for Halloween. How do I give him the nails?! You have to have the aluminum bat from the hunting store first. You can see it in my last video. You need to enter the Garbage Dump and then follow a small southeast path to a ramp that will take you to the island. I need help with finding the second VHS tape. I think it’s located in the forest maze, but there’s a gate and I need a key to open it. I checked the maze many times but I can’t find an extra key to open it. I have 95.8% of the game completed and this is one of the last things I need in order to go to the movie theater to complete the game. If you’re that far, you might be able to find a key card at the Florist for $500. The Florist is closed for restocking! When does he open? After you talk to the Librarian. How do you get into the bunker!?! There’s a pipe with a bear blocking it. Lure him away with pudding! Where isn’t the #10 gnome?? I can’t for the love of egos find him. Where exactly in the middle school do I find the pipes for vhs #3? nevermind. to anyone who can’t find it, go to the bottom right side of the school and you’ll see a green chest but also a pipe, switch to will and go in the pipe. the tape is right in there. where at in the library do i find vhs #5? I already had defeated everything in the library so I dont know where the guards were at. You have to go back and defeat the new enemies that spawn after you beat the boss. The VHS is in one of the rooms close to the entrance but only after beating the boss first. I found where its at.. in the library its near the upper left area for anyone who wants to know specifically where to find it. Where can I find Mrs Wheeler? There is a glitch in the bunker dungeon (classic mode) where you can get unlimited key cards. It’s the 2nd or 3rd level lift a female elite agent patrols infront of the lift. When killed she drops the card for collection but if you are killed she respawns and the card can be collected again. Do this several times to gain lots of key cards they remain in your inventory in every dungeon. To the left of Melvald’s. Anyone know where to find the bag of salt? I can’t find the 8th tape? I have the nails to give to steve but he’s just talking about halloween and not taking them ? Do you have the aluminum bat? You might need that first. Both of those are in the Sewers! But how can I access to the Sewers?